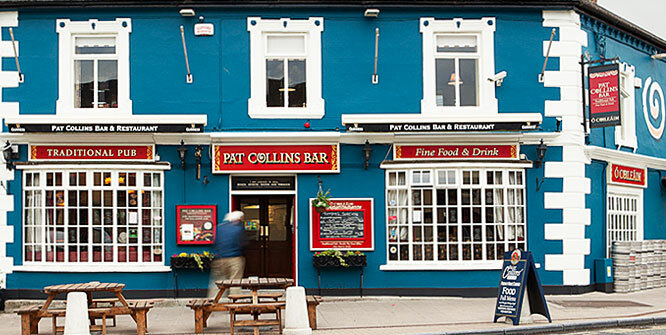 Get Directions to Pat Collins Bar..
Pat Collins Bar is a family business located in the heart of the village of Adare, Ireland’s prettiest village. 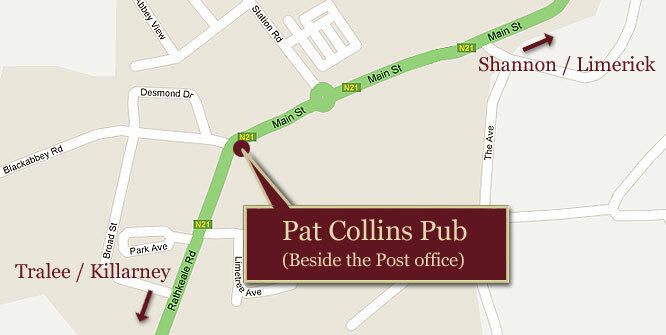 Come, sit and relax over a pint of Guinness and a plate of home made Irish Stew. 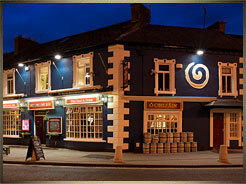 The bar is famous for its good pint and deliscious Irish home made dishes. 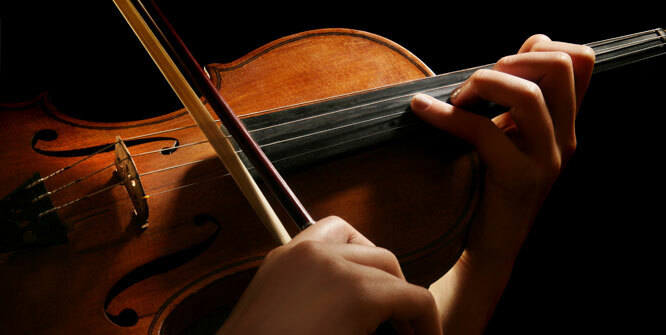 All meals are prepared using fresh local produce and served with home made brown bread. We are equiped to cater for parties and group bookings, eg. birthdays, wedding parties, and more. Finger food available on request. We would like to extend a warm welcome to all our guests, both local, national & international, and invite you to enjoy a most memorable experience with us. 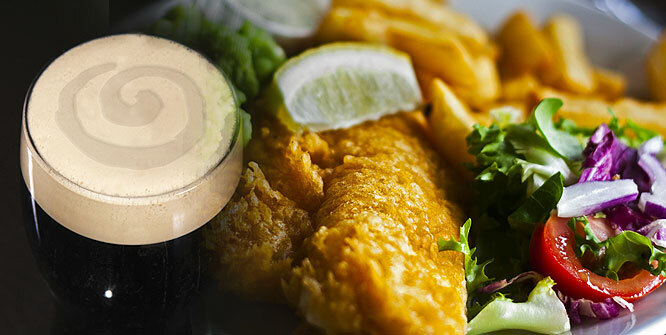 Food served all day up to 9.30pm.